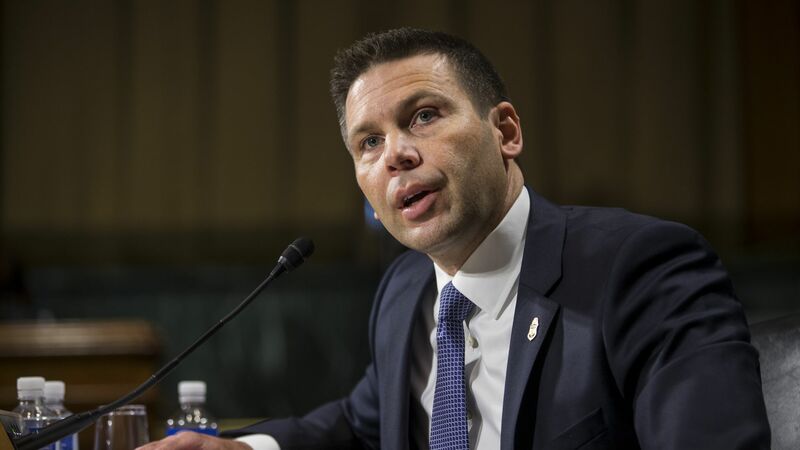 The House Judiciary Committee on Tuesday requested information following reports that President Trump told acting Homeland Security Secretary Kevin McAleenan that he would grant him a pardon if he broke immigration law by blocking asylum seekers from entering the U.S. Details: Rep. Jerrold Nadler (D-N.Y.), chairman of the panel, and Rep. Steve Cohen (D-Tenn.), the subcommittee chairman on the Constitution, Civil Rights and Civil Liberties, told McAleenan to turn over information related to Trump’s alleged promise and "make himself" and other department officials available to testify before the committee. The backdrop: Frustrated by the spike in migrant border crossings, Trump threatened to close the border if Mexico failed to restrict the flow of asylum seekers trying to come into the U.S.
CNN and the New York Times reported last week that Trump privately made the request to McAleenan — who was then the commissioner of Customs and Border Patrol — during a border visit in Calexico, Calif., earlier this month. Trump denied the reports on Twitter, saying: "Of course this is not true. Mainstream Media is corrupt and getting worse, if that is possible, every day!" "These allegations, if true, would represent a grave breach of duties of the president. Congress has an independent constitutional duty to provide oversight of the administration of government by the executive branch." The Democrats also added that this follows what they called a "troubling pattern of conduct that has emerged over the past two years that appears to demonstrate that President Trump views the pardon power as a political tool, or even worse, as an expedient mechanism for circumventing the law or avoiding the consequences of his own conduct."